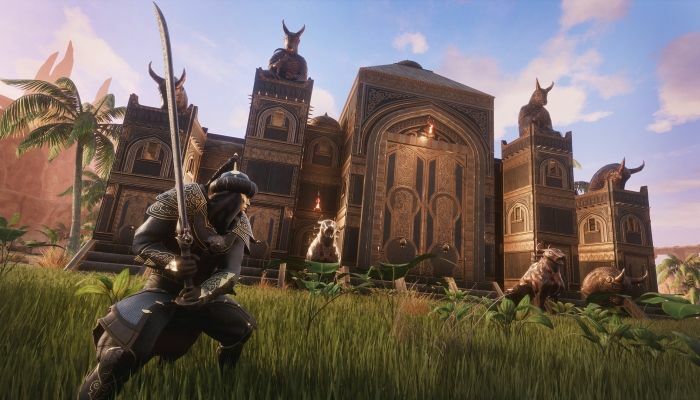 Funcom has announced that the Treasures of Turan DLC has been released for Conan Exiles. It contains themed items including 15 armor pieces, 39 building pieces, 5 warpaints, 9 weapons, 18 placeables and 2 new pet skins. In addition to the DLC, Funcom also announced that a new Year 2 Season Pass is now available for $29.99. The Year 2 Season Pass includes the Treasures of Turan DLC and will include three more DLC coming throughout the balance of 2019.